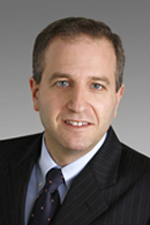 Peter Felsenfeld has a diverse litigation practice representing businesses, individuals and insurance companies in complex litigation matters. He has served as coverage counsel for major commercial general liability and professional liability insurers throughout the United States. A significant portion of Peter's practice is dedicated to matters of insurance bad faith, rescission, coverage disputes and ERISA benefit claims in the life, health and disability areas. In addition, Peter has litigated numerous contractual disputes and employment matters, including wage and hour, misclassification and wrongful termination cases. Peter joined the firm in October 2014 as a result of the merger of Hinshaw & Culbertson LLP and Los Angeles-based Barger & Wolen LLP, where he had worked since graduating from law school in 2008. Prior to embarking on his legal career, Peter worked as a news reporter for the Contra Costa Times (now, East Bay Times), which boasted a daily circulation of approximately 200,000. In that capacity he covered regional and statewide government and politics for the publication, including in-depth investigative reporting on the state's public employee pension system.